If you are in need of retaining wall services in the Londonderry NH area, KDA Construction can provide you with quality service. Retaining walls may just appear to be stacked stone, however they are actually carefully crafted systems with the purpose of restraining soil that could potentially damage your existing landscape or compromise the foundation of your property. The installation of retaining walls requires the expertise of a professional who is familiar with the construction and maintenance of these systems. At KDA we know how to construct stable and reliable retaining walls that look great too. KDA Hardscapes offers a wide variety of styles and colors to choose from. 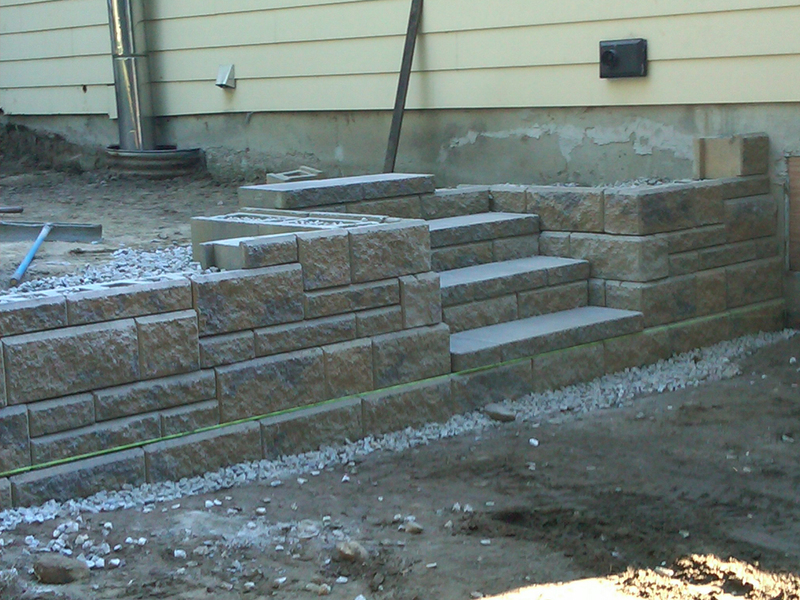 Retaining walls in Londonderry NH end up being a stylish complement to your landscape. Many properties in the Londonderry New Hampshire area are on a slope, making gardening and landscaping a challenge. The proper installation of retaining walls on a sloped property can provide wonderful garden space and an inviting landscape for all to enjoy.